Infrared helps HMP discover issues beyond eyesight. 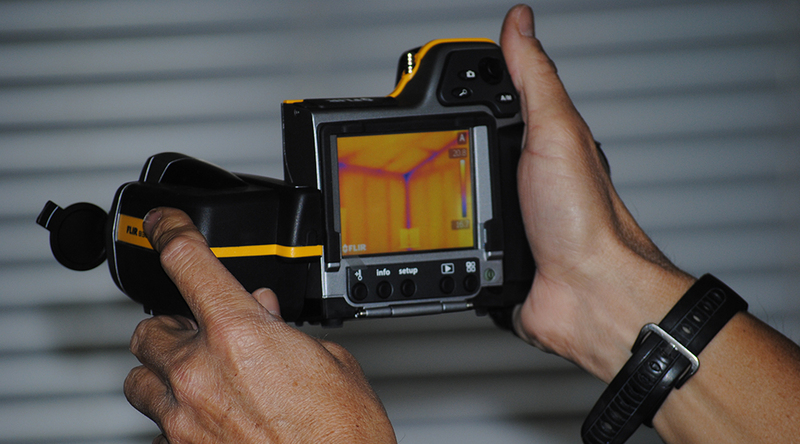 Our thermographic imagery inspections can help determine water infiltration, air leakage, and under-performing insulation that may be costing you hundreds of dollars in lost energy costs. 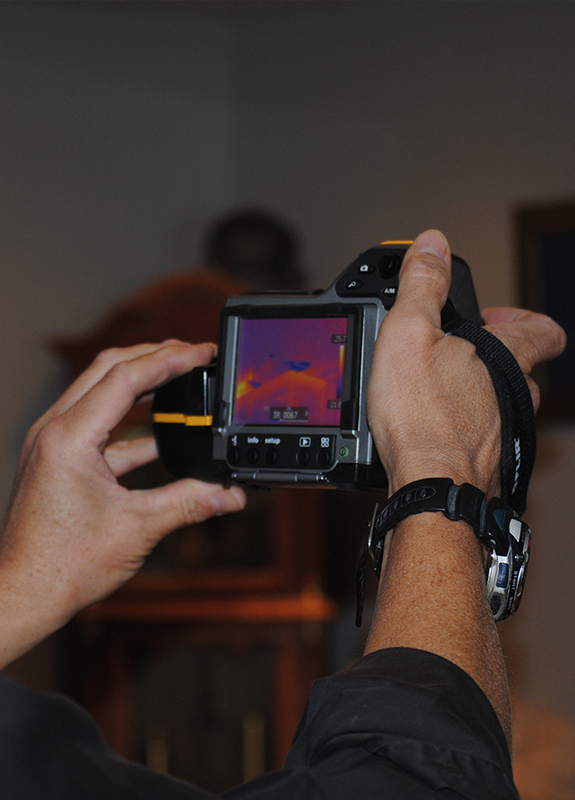 Why is an Infrared inspection important? Homes can suffer from a wide variety problems associated with their design, construction, equipment failures, and external forces. These problems can result in large expenditures to fix things that have gone unnoticed for too long. Even when symptoms are evident, it’s often difficult to find the source of the problem. 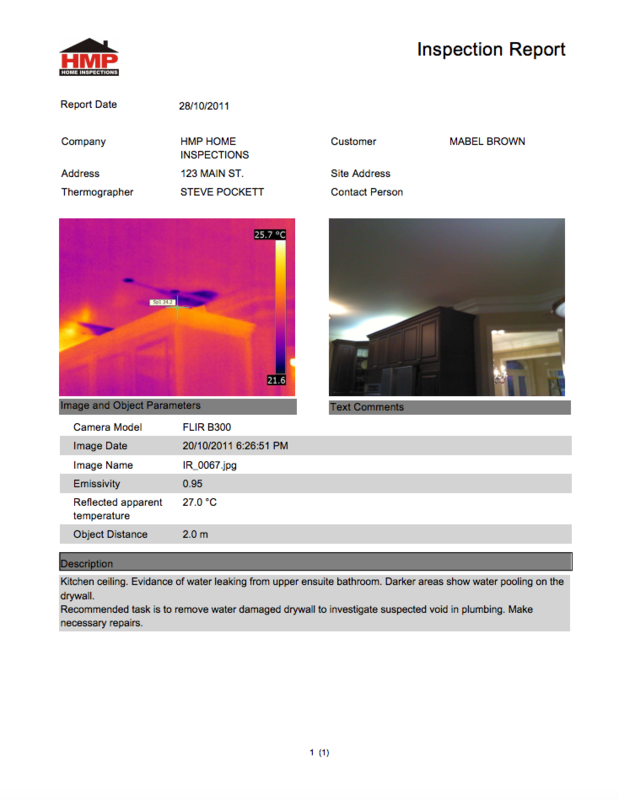 This can result in secondary damage that poses risks to occupants, or leads to destruction of the building.